Education is about those a-ha moments. That split second when the concept moves from abstract thought to understanding, and through continued exploration, mastery. Those moments have a lot to do with thorough planning, curriculum guidelines and even the right selection of technology for use in a given situation. But there is something more that is needed. A hero’s mindset. I have always loved superhero stories. There is something special about their mindset, an air about how they carry themselves. If they have limits, they don’t acknowledge them, they just accept the risk and keep going. 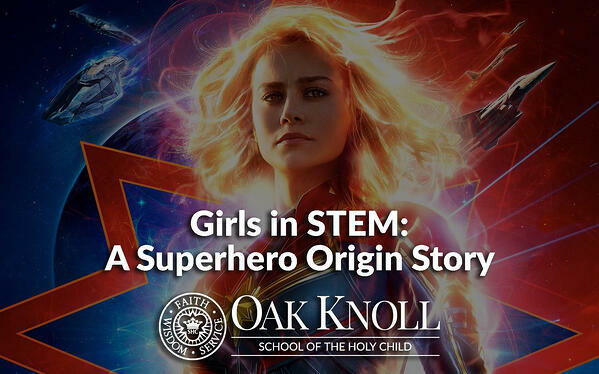 Being a father of girls, and working in a school with an all-girls’ division, I have been particularly drawn to Captain Marvel, the newest face of the Marvel Superhero Pantheon. In the recently released movie trailer, she has a great line: “Heroes. Noble Warrior Heroes.” She is not just from a race of noble warriors, but noble warrior heroes. It’s a distinction that is at the heart of the STEM challenge we face today.